Christine Sundly was born in Milwaukee, Wisconsin, and is of the Menominee Nation. Creating art has continuously been an introspective process for her as early as she can remember. Several years of schooling and experience in a studio atmosphere has given her the ability to grow and become a successful artist. Educationally, Christine has earned an Associates Degree of Applied Arts - Graphic Design 2000-2003 at the Milwaukee Area Technical College and then earned a Bachelor of Fine Arts - Concentration of Studio-Sculpture with Emphasis in Graphic Design in 2006 at the University of Wisconsin-Stout. While in school, Christine served two organizations. In 2001 she served as vice president and then president the following year in NASM (Native American Student Movement) at Milwaukee Area Technical College. 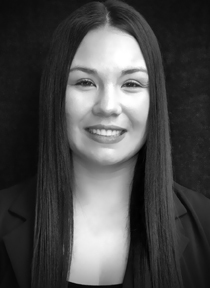 While attending the University of Wisconsin-Stout she served in 2004 as a secretary and in 2005 as president in SPIRTS (Student Participating in Indian Tribes at Stout). She was also awarded the Marjorie L. Sheedy Art Scholarship in school years 2004 and 2005. The past 17 years have been the most intensive for her development as an accomplished artist. Christine has been in several art gallery shows from Hawaii to North Carolina, both participation and juried. She also works as a freelance artist doing both commission fine art and graphic design. While living in Hawaii she served as a member of The Association of Hawaii Artists. Christine extended her experience in California as a docent for the 29 Palms Art Gallery. While living in Jacksonville, North Carolina, she served on the Council for the Arts as well as the local Grassroots board. Currently residing in Anchorage, Alaska Christine works as an Artist as well as for local non-profit agency helping people with disabilities live independently. ©Sundlyarts. Simple theme. Theme images by Roofoo. Powered by Blogger.